Great alternative to traditional Halloween treats! 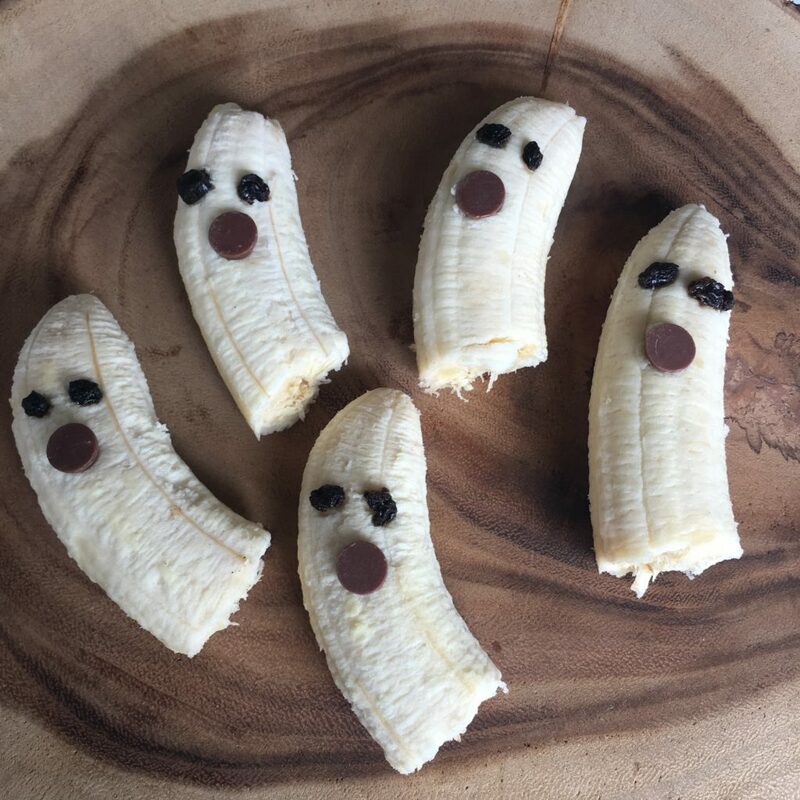 This fun snack will be a hit with the kiddos at any party or even a festive snack! Peel bananas and cut in half. Place 2 currants on each banana half for eyes. Place one chocolate chip for a mouth. Serve with a side of almond or peanut butter for an extra tasty treat!